Unique Lightscapes provides quality customer service by giving our customers expert advice and installation of outdoor accent and holiday lighting. We are a family business and my wife and children love to "help out" when they can. FVA Outdoor Lighting is a manufacturer of custom steel outdoor lighting for commercial and residential landscapes. Our passion is about creating easy to install, durable and artistic lighting products that create uncommon focal points in a landscape. Our solar bollards offer superior illumination with excellent battery life and do not require any wiring for power. 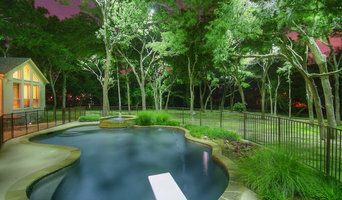 All of our products are designed and fabricated in North Texas. We do offer custom design and fabrication services for larger orders and invite you to give us a call to discuss your ideas and projects. Inception Innovations’ Technology is a leader in revolutionizing the development and advancement of the lighting market. From permanently installed lighting systems and our integrated cloud automation platform to innovating products and services around the idea of cutting edge architectural technology. Inception Innovations creative freedom and dynamic appeal to inspire! Delta Electrical & Controls Inc. is a recognized audio/video company known for our attention to detail service. 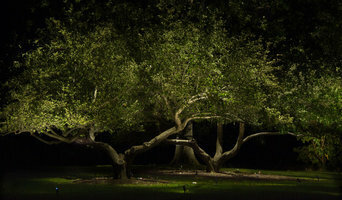 Landscape Lighting Pros provides top of the line lighting services to set the perfect outdoor ambiance for your home. We have a Free 3 Day Trial so you can see our lights at your home, before you pay. WELCOME TO SILVERLEAF Silverleaf Outdoor Lighting designs and installs custom outdoor lighting systems throughout Dallas, Forth Worth and Surroundings, TX. Whether it be a private home, townhome, development or commercial location, we can custom design a landscape lighting system that fits your needs best. Spy Centre Security is a premier spy and security equipment provider. We specialize in covert nanny cameras, body worn equipment, GPS trackers and personal protection. We also have video demonstrations and tutorials for a majority of our products that are available online. Spy Centre has established itself in the Dallas,TX market for over 19 years and provides fully functioning demonstration areas at each of our locations. Our customers include retail stores, commercial businesses, governments, school agencies, custom residences and our wholesale dealers. Visit us online at <a rel="nofollow" target="_blank" href="http://www.spycentre.com">http://www.spycentre.com</a>. We are a custom automation firm that does residential as well as commercial projects. We offer RISK FREE GUARANTEED purchasing to enhance consumer shopping experience and we are the original manufacturer of Malibu and Brinkmann light. VenusManufacturing is a group organization of 7 factories, a product design center and a testing laboratory in China. From product marketing research, product design to product producing and quality assurance, Venus Manufacture does all. Our focus is on consumer product market and do guarantee 100% customer satisfaction. We are making cloth, pet beds, accessories, tent, car and boat covers, BBQ grills, tool chest, power tools, landscape lighting, handheld lighting, and audio devices for Chinese domestic market and consumers around world. Our mission is to bring the best technology, design and quality of our products to the consumers around world.